When it comes to ex-offender employment, it is important to work in partnership with all of the key stakeholders involved in the process. Not only do the ex-offenders need support, but also the people who work with them and the potential employers who hire them. They also need guidance to help make the recruitment process successful. This is something that Nacro knows only too well. Nacro is a social justice charity that uses diverse and innovative approaches to strengthen communities and improve the lives of some of the most vulnerable people throughout England and Wales. It runs two major services: one for ex-offenders and one for employers looking to recruit from this talent pool. The Resettlement Advice Service is a free, national helpline for people with criminal records and the practitioners who work with them, e.g. probation officers and employment advisors. Via this helpline, as well as through the online resources Nacro have put together, they can resolve the various issues they may be facing in areas such as housing, managing money, employment and education (e.g., how to disclose a criminal record to a potential employer). The second service is the Employer Advice Service. This seeks to promote best practice among employers, education providers and other organisations by giving them practical guidance, operational support and the relevant training they may need to make informed decisions concerning ex-offenders. Just as ex-offenders and practitioners can access free support through the Resettlement Advice Service, so too can employers receive support from legal officers through a similar helpline. Nacro has also produced a guide, Recruiting safely and fairly, in partnership with the Chartered Institute of Personnel and Development (CIPD) and the Disclosure and Barring Service (DBS) aimed at helping employers develop and implement effective ex-offender recruitment and retention policies. In October 2015 Nacro launched the Aeneid Project. It is a ground-breaking initiative that seeks to improve the education, training and employment opportunities of individuals with criminal records, as well as up-skill practitioners and provide local employers and educational establishments with the resources, support and training needed to be able to confidently access this potential talent pool of more than 10 million people. The overall aims of the project are to positively change individuals' lives, address employers' chronic skills shortages, and strengthen communities. The Aeneid Project works in partnership with each of the key stakeholders involved in ex-offender employment. For employers, Nacro runs one-day workshops on how to recruit safely and fairly. These sessions are attended by HR and CSR professionals with responsibility for: recruitment and retention, equality and diversity matters, and safeguarding. The objective is to provide them with the skills and confidence to make informed decisions about applicants or existing staff or volunteers with criminal records. Nacro also runs free, one-day training workshops in safer admissions for universities and colleges; and also criminal record disclosure for practitioners. They also run tailored training programmes for ex-offenders, supporting them to move towards economic self-sufficiency. These programmes begin by supporting participants to become psychologically more resilient, before providing them with valuable skills, specific training and work experience/trials with local employers from various sectors. Participants also receive one-to-one sessions, advocacy and after-care support (where necessary). Finally, Nacro regularly meets with relevant key stakeholders (including local authorities and local and national government representatives such as the Department for Work and Pensions and the Ministry of Justice) to devise and implement local, regional and national strategies with the aim of raising awareness and involvement in both the project and the focused support that they can access from the Employer Advice Service. The Aeneid Project has been successfully run in Bedford and Hertfordshire. From January 2017, Nacro began to expand to other areas including Manchester. In a report by the Department for Work and Pensions, Manchester was recognised as an offender hotspot; it is also undergoing major regeneration and devolution of its criminal justice system thus a key area for the Aeneid Project to be delivered. 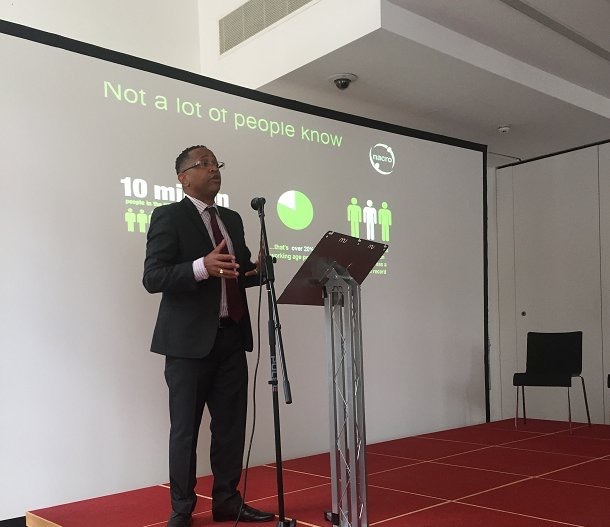 On the 16th March Nacro hosted an Employers' Event, 'Recruiting safely and fairly: Employing ex-offenders to capture talent', at the Manchester Central Library. 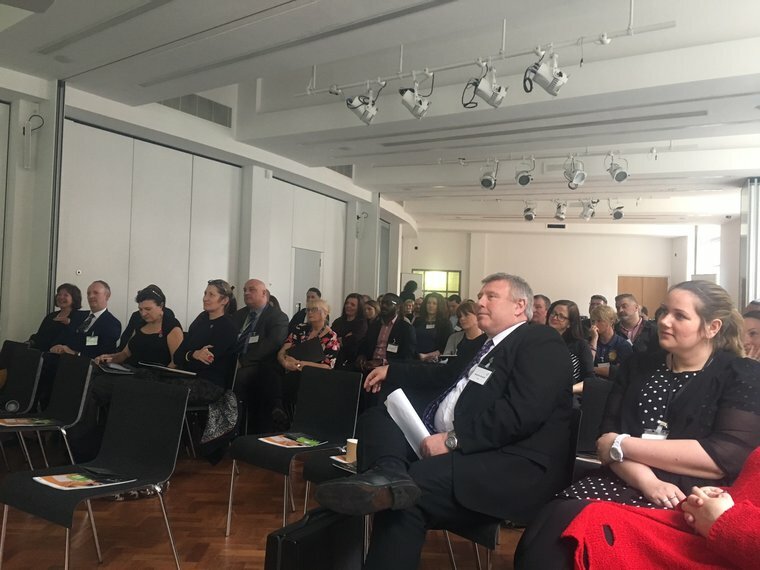 Senior business and HR professionals from private, public and third sector organisations heard from a range of key stakeholders and industry experts from Eversheds Sutherland, Freshfields, ACAS, Business in the Community (BITC) and the Department for Work and Pensions (DWP). They also took part in a workshop on the safe and fair recruitment of ex-offenders. The event marked the formal launch of the Aeneid Project in Manchester. This year-long initiative will be measured so that the success rate of the intervention can be empirically proven.